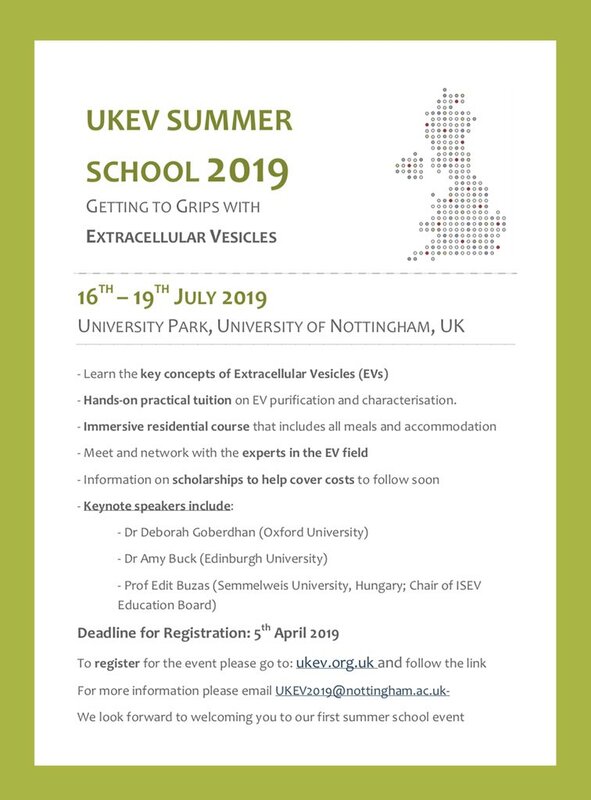 The field of extracellular vesicles (EV) is a rapidly growing area of research, both globally and within the UK. The UK Society for Extracellular Vesicles (UKEV) is a result of the success and collaborative spirit of UK-based researchers with an interest in extracellular vesicles. Our goal is to share knowledge and expertise on EV to educate the wider research community, and beyond. UKEV consists of an active network of researchers. We hold annual scientific meetings to discuss research, and other events throughout the year, where we can share ideas and talk about EV.